The essays in this collection acknowledge the rich Gothic tradition in Asian narratives that deal with themes of the fantastic, the macabre, and the spectral. 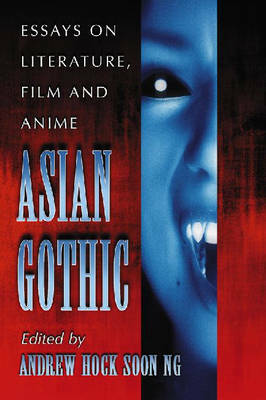 Through close analyses of Asian works using the theoretical framework outlined by Gothic criticism, these essays seek to expand the notion of the Gothic to include several popular Asian works.Broadly divided into essays on postcolonial Asian Gothic, Asian-American Gothic, and the Gothic writings of specific Asian nations, this volume covers a wide variety of Asian texts. The essays of Part One demonstrate the flexibility of Postcolonial Gothic literature in adopting divergent or even contradictory ideologies. Part Two evokes the Gothic as the theoretical framework from which to interrogate the writings of Asian-American authors Maxine Hong Kingston, Sky Lee, I thi diem thuy and David Henry Hwang. Part Three studies the Gothic tradition in the national literatures of China, Japan, Korea, and Turkey.